Indian actress who received the Filmfare Award for Best Female Debut for her performance in the 2011 romantic comedy Ladies vs Ricky Bahl. She also received Filmfare Award nominations for Best Actress for her roles in the 2012 film Ishaqzaade and the 2013 film Shuddh Desi Romance. She intended to go into investment banking, earning a degree in business, finance and economics from the Manchester Business School. In addition to her busy Bollywood work, she has been active in supporting organizations that help impoverished, rural families. She was rumored to be dating her co-star on Ishaqzaade, Arjun Kapoor. She is the cousin of the renowned Bollywood actress Priyanka Chopra. 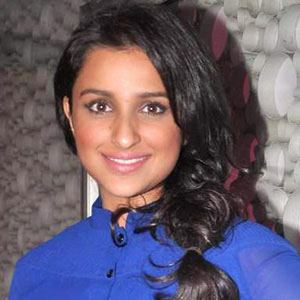 She co-stars with Sushant Singh Rajput in the 2013 Bollywood romantic comedy Shuddh Desi Romance.